North Korea test launches an intercontinental ballistic missile Hwasong-14 in 2017. The regime has expanded its long-range missiles sites, satellite images show. North Korea has significantly expanded and upgraded long-range missile sites, according to satellite images published by CNN, highlighting the lack of progress in negotiations with the US in the months since Kim Jong-un met Donald Trump. The images showed upgrades at the North’s Yeongjeo-dong and revealed another site that was previously not publicly known, both in the country’s mountainous interior. missiles sites, satellite images show. The location of the missile bases means it is likely to be a launch site for North Korea’s newest long-range missiles, including ones that can carry nuclear warheads, according to analysts who reviewed the images for CNN. It includes a network of underground tunnels used for storing missiles. Trump and Kim agreed to work toward the “complete denuclearisation of the Korean peninsula” during a meeting in Singapore in June, and Kim has since offered to close some missile testing facilities. North Korea in May claimed to dismantle its only known nuclear test site, sealing tunnels in front of a handful of journalists. Despite punishing economic sanctions and a flurry of diplomacy over the past year, Pyongyang has not agreed to curtail its nuclear weapons program or halt development of missiles. 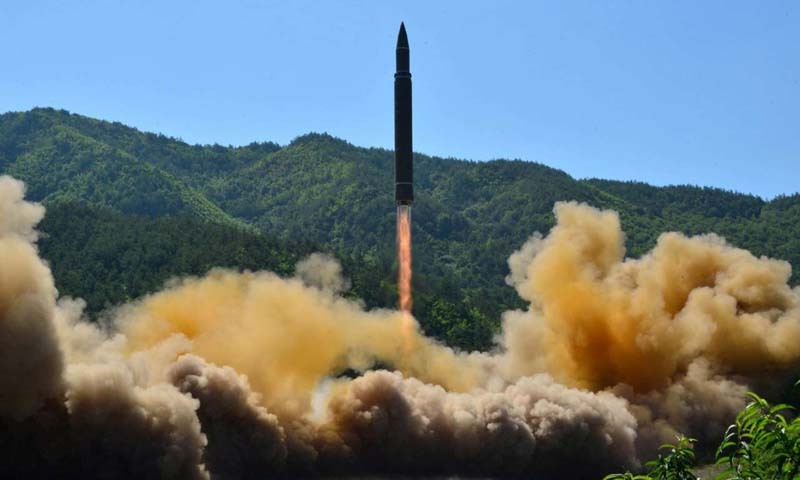 In recent months North Korea has announced the testing of an unspecified “newly developed ultramodern weapon” and reports have repeatedly revealed it is continuing to develop its nuclear and missiles programs. Trump said on Saturday he hoped to hold a second meeting with Kim early next year and US national security adviser John Bolton said the lack of progress with North Korea made a second summit necessary, likely to be held in January or February. US officials have insisted North Korea must fully disarm and open itself to international inspectors before it will grant sanctions relief while North Korea’s state media has called the stance a “hostile policy” and said the US “is responding to good faith with evil”.